The figure is priced at $80 with a release set for September. check out a couple of images after the jump. Damnit! This may be the mezco one twelth that finally breaks my will to redist. This is just badass! Looks good, but the orange half of the mask should really be silver/gray. Looks odd with that being the only bit of his outfit that isn't black/gray. 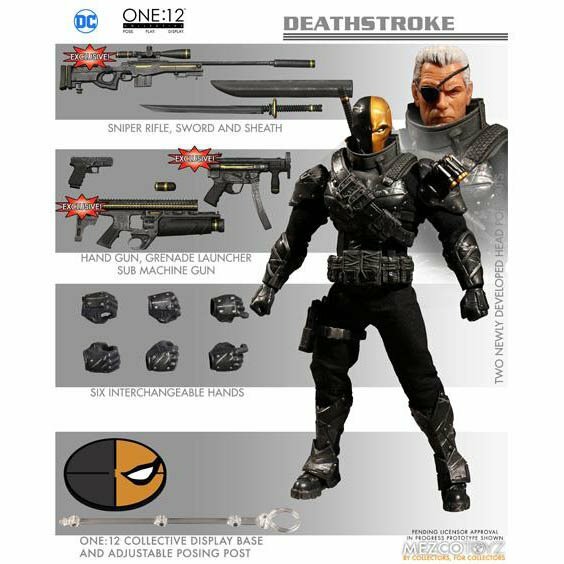 I love how Deathstroke's stealth load out includes a grenade launcher. 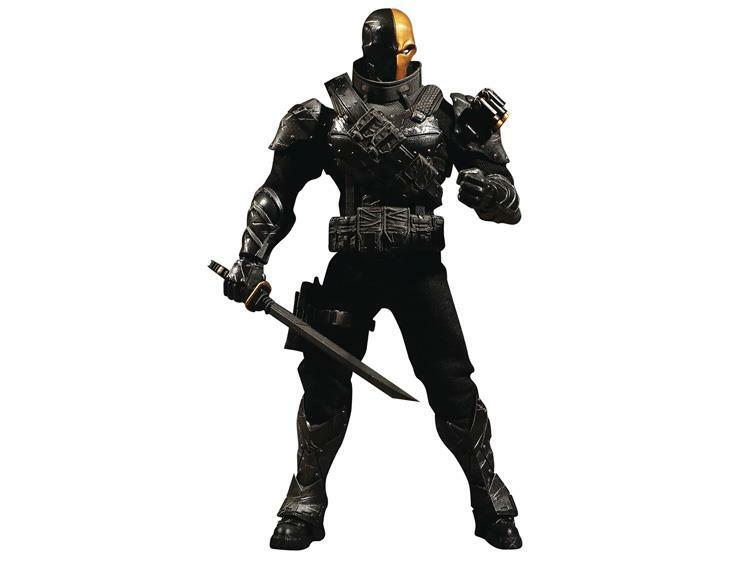 He looks pretty dope, but I'd prefer a classic Deathstroke look. yeah, i think i may bite on that one. Pre-Ordered this one the second I saw it! It is seriously badass. Love that he comes with much more weaponry than the original version. 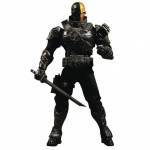 I could see them releasing a deluxe "fully loaded" one as well similar to Punisher. The normal release has more orange. This version is supposed to be more like some live-action and video game adaptations' more ""realistic"" looks. It resembles his Teen Titans cartoon costume.